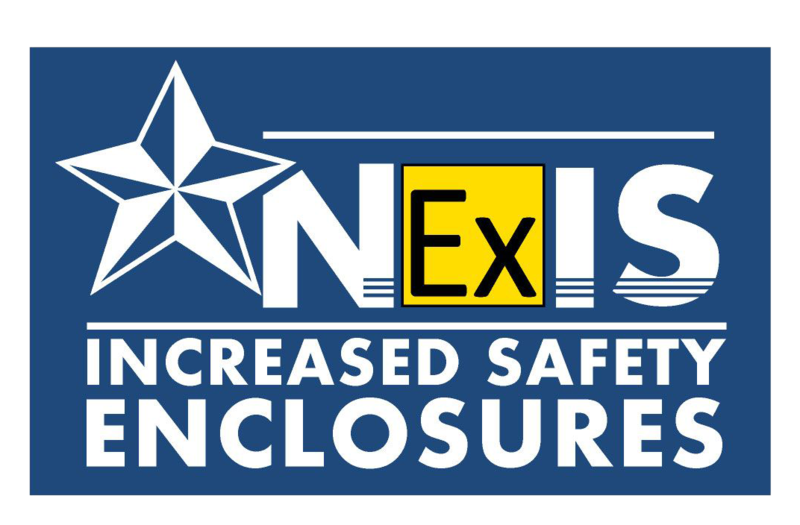 Nema Enclosures manufactures quality custom and standard electrical enclosures that comply with the safety standards of the European Union’s ATEX Directive for the safe use of electrical enclosures in potentially hazardous areas. These hazardous areas include locations where people are exposed to flammable liquids, vapors, gases or combustible dusts that could present a possible risk of fire or explosion. The ATEX Directive, formally known as the 'Directive on Equipment and Protective Systems Intended for use in Potentially Explosive Atmospheres' (94/9/EC), has been in effect since March 1, 1996. It is commonly known as the 'ATEX' Directive (derived from, 'ATmospheres EXplosibles'), but is also referred to as the ATEX Equipment Directive or ATEX 95. 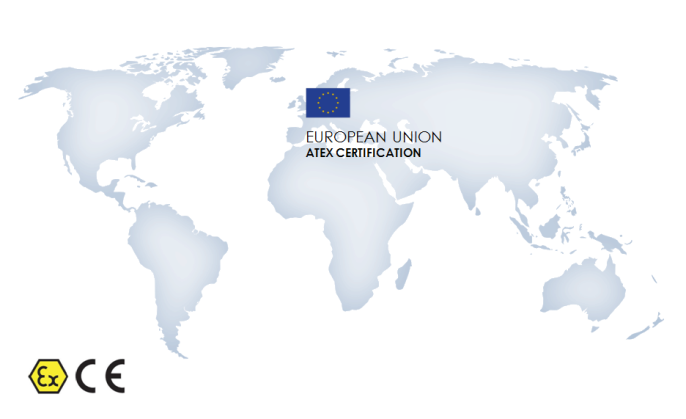 ATEX is a certification that applies to electrical and/or mechanical equipment used on the surface, below the ground and on fixed offshore installations. All equipment intended for use in potentially explosive locations and which are capable of causing an explosion through their own potential sources of ignition. Protective systems, defined as units intended to halt incipient explosions immediately and/or to limit the effective range of explosion flames and explosion pressures, and intended for use in potentially explosive locations. Components, defined as any item essential to the safe functioning of equipment and protective systems but with no autonomous function. Group I is comprised of equipment intended for use in mines, above and below ground. Group II is comprised of equipment intended for use in other locations endangered by explosive atmospheres. Category 1: Includes equipment intended for use in areas in which explosive atmospheres caused by mixtures of air and gases, vapors or mists or by air/dust mixtures are present continuously, for long periods or frequently. Category 2: Includes equipment intended for use in areas in which explosive atmospheres caused by gases, vapors, mists or air/dust mixtures are likely to occur. Category 3: Includes equipment intended for use in areas in which explosive atmospheres caused by gases, vapors, mists or air/dust mixtures are unlikely to occur or, if they do occur, are likely to do so only infrequently and for a short period only. In addition to the ATEX Directive 94/9/EC, there is the European ATEX Directive, 99/92/EC, also known as the 'ATEX Workplace Directive' or 'ATEX 137'. This Directive highlights what employers must do to minimize the risk to workers in explosive situations. Zone 1 - A location in which an explosive atmosphere consisting of a mixture with air of dangerous substances in the form of gas, vapor or mist is likely to occur in normal operation occasionally. Zone 2 - A location in which an explosive atmosphere consisting of a mixture with air of dangerous substances in the form of gas, vapor or mist is not likely to occur in normal operation but, if it does occur, will persist for a short period only. Zone 20 - A location in which an explosive atmosphere in the form of a cloud of combustible dust in air is present continuously, or for long periods or frequently. Zone 21 - A location in which an explosive atmosphere in the form of a cloud of combustible dust in air is likely to occur in normal operation occasionally. Zone 22 - A location in which an explosive atmosphere in the form or a cloud of combustible dust in air is not likely to occur in normal operation but, if it does occur, will persist for a short period only. ATEX 137 requires that only certain categories of Group II ATEX certified equipment can be used in specific Zones. This requirement guides manufacturers on which Category of ATEX certification their product(s) need. In all cases, it will be necessary for the manufacturer to prepare a full Technical File for the product(s) that demonstrates their conformity with the requirements of the ATEX Directive 94/9/EC. Nema Enclosures manufactures quality custom and standard ATEX certified enclosures. 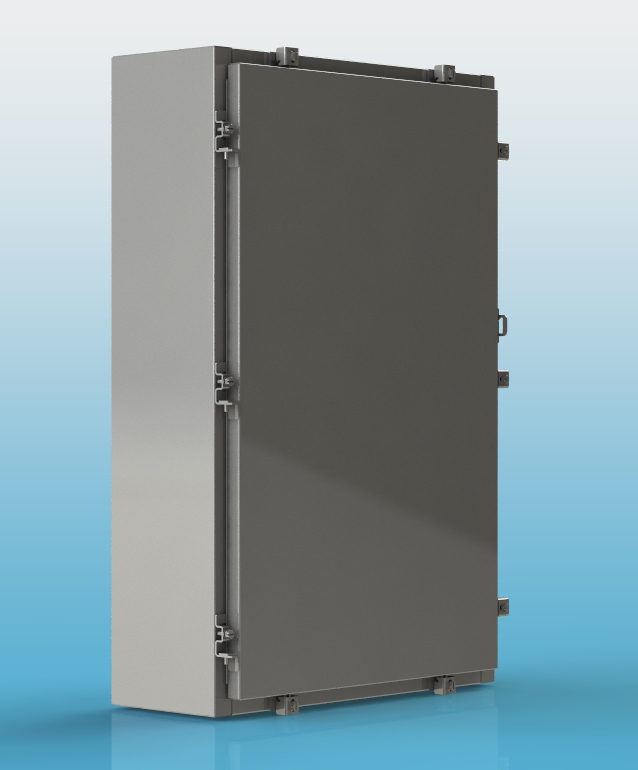 Our ATEX enclosures are available with powder coating and silk-screening customization. Contact us today to learn how we can expedite a custom enclosure and produce cost-effective standard ATEX certified enclosures to protect your equipment.